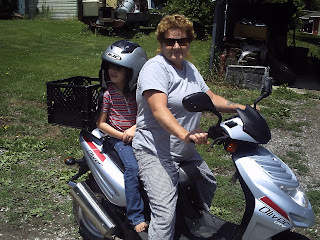 So I got out the scoter and was having a blast giving rides around town to the children. The boys love the bike they want one of their own LOL . As you can see Vern snapped a picture.